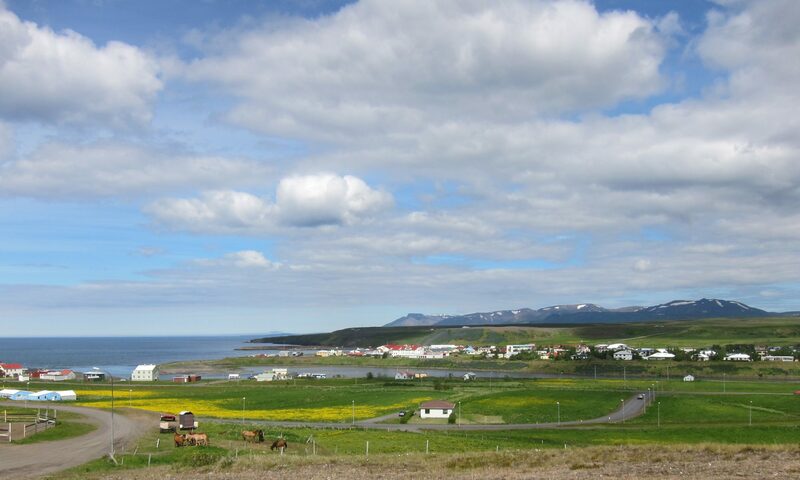 Welcome to the Iceland Field School, a mixed-level, transdisciplinary university credit course conceived and designed by Dr. Kathleen Vaughan of Concordia University (Montreal, Canada) in association with the Icelandic Textile Centre (or Textílsetur Íslands) in Blönduós, Iceland. Based on her own transformative artistic residency at the Textile Centre in June 2016 and the welcoming collaboration of the Residency’s team, Kathleen began to dream of returning to the Textílsetur with Concordia University students, and so to conceptualize and work towards creating a credit-earning field school residency in Blönduós. With the strong support of Concordia University, June 2018 was be the inaugural session of this initiative in place-based learning. For the full month of midnight suns, 13 students worked on site to explore aspects of arts, community, environmentalism, tourism and museology, often with a textile inflection. Just announced, the Iceland Film School will take place in June 2020, with a new cohort of students participating. This curricular initiative aligns with Kathleen’s research and creation trajectories as Concordia University Research Chair in Socially Engaged Art and Public Pedagogies.